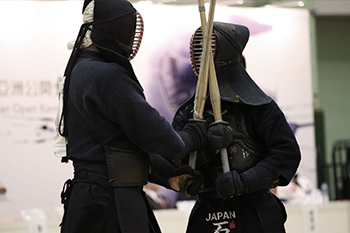 *The Development of Kendo in Hong Kong can be traced to the 1970s,writh a history of 40 years. *AS of today there are a total of 8 affiliated dojos with about 500 members. *Of the Affiliated dojos, the City U Kendo Club, the HKUST Kendo Club, HKSYU Kendo Club and HKBU Kendo Club are subsidiaries. Through the centuries the anient art of swordsmanship has evoled into the sport that is widely practiced as kendo today. Both bamboo sword (shinai) and wooden sword (bokken) are used in practice, A heavy cotton jaket (Keikogi) and pleated trousers (hakama) are worn. Over this the protective armor is made up of the helmet (men) , the chest and abdomen shield (do), the hip and groin protector (tare) and the gloves (kote).